On April 13, Chrysalis Records will release a Record Store Day exclusive featuring a previously unreleased mix of the Generation X classic single ‘Your Generation [Winstanley Mix]’ b/w ‘Trying For Kicks [Winstanley Mix]’ as a limited edition red vinyl 7” single. 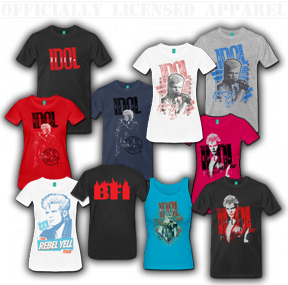 Additional Billy Idol Live! 2018 Tour dates in the U.S have been added for September and October! The latest fall dates announced begin September 12 in Portland, OR and include festival appearances at KAABOO Del Mar and the Foo Fighters’ own Cal Jam. Billy Idol LIVE! 2018 UK and European Tour Dates have been announced! Get ticket info now! Not many guitar players can flawlessly cross as many musical boundaries as Steve Stevens has done in his career. His prolific and innovative playing has changed the face of music, and together with Billy Idol, they helped revolutionizing a new genre of music. Whether you consider their brand of music; New Wave, dance rock, or rock n’ roll they rode the crest to become MTV staples and musical icons. Being a self-proclaimed techno head, Steve has emerged as a quintessential force, capable of magically and successfully marrying it all altogether without sacrificing the main objective – making great music! A true “orchestrator” as he likes to say. 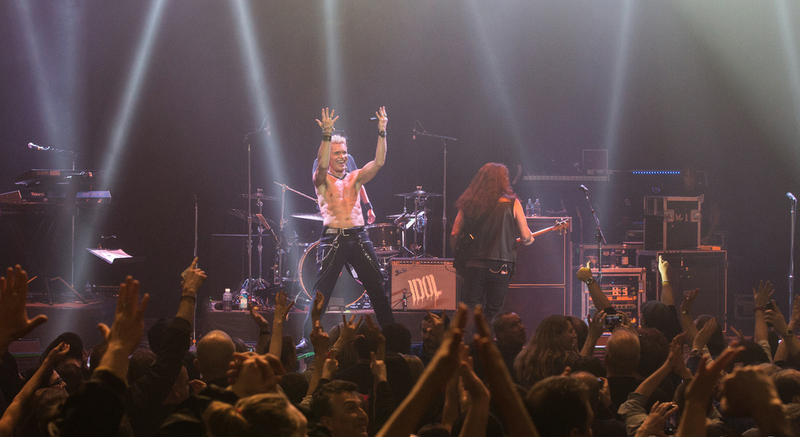 With his extraordinary stage charisma, leather outfits, long spikey hair, and amazing chops he caught the attention of hard rock & metal fans. It was apparent that Steve was not content with conquering just one genre of music and took his unique playing technique and versatility to new heights, playing with such musical legends as Michael Jackson, Vince Neil, Robert Palmer and Joni Mitchell. 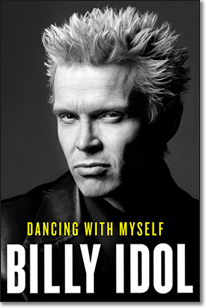 Billy Idol sang his way onto the stage (literally) to talk about his memoir at the Los Angeles Times Festival of Books on Saturday. It’s true, he really didn’t need an intro: Crowds of book festival attendees arrived at the stage area early to save seats. Others packed the surrounding grassy area, standing to get a better view of the 1980s British rocker. “Bookchella,” indeed. 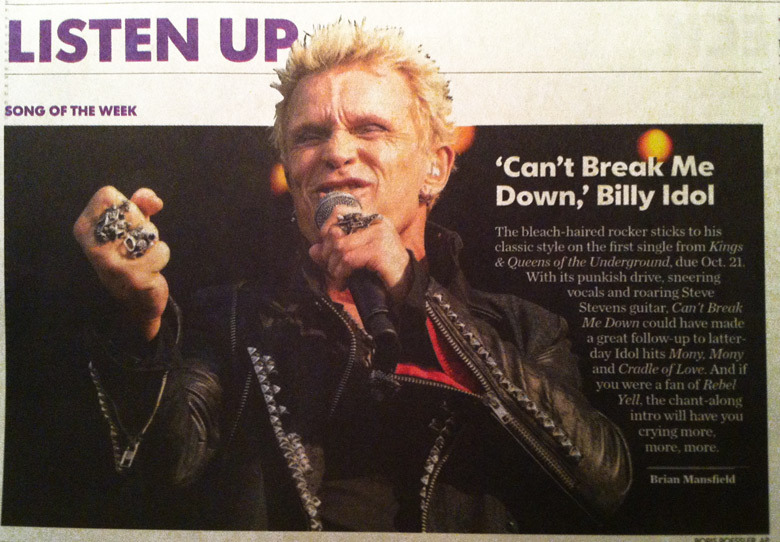 Spiky peroxide-blonde- haired Billy Idol repeats the word “masturbatory” three times with a sneer. The leather-clad rocker who led an MTV-fuelled generation is telling me about a disco in Tokyo, Japan, he visited in the late 1970s, when dance clubs were still in the passionate embrace of disco’s Saturday Night Fever. “We went to this dance club and these kids were all dressed up like John Travolta and dancing with themselves,” Idol says chattily. The experience led to the hit 80s hit song Dancing with Myself, which is also the title of his recently released autobiography. 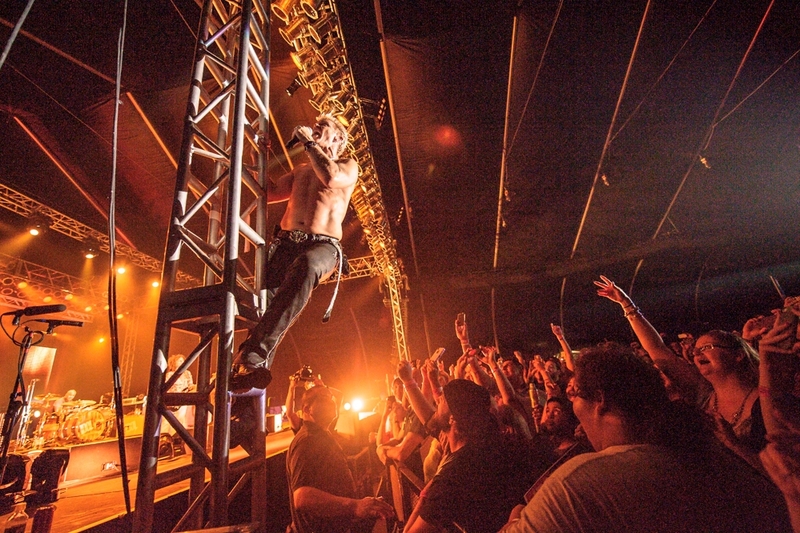 He challenged himself to write the book, he says, as his way of evoking something of a punk rock ethic. Billy joined The Grill Team on Triple M 104.9 Sydney’s Modern Rock station for an on-air interview. Billy Idol sat down with Kochie (David Koch) on Sunrise on 7 for an interview during a break on the Australian tour. Billy recently chatted with the Sydney Morning Herald about his new album, Kings & Queens of the Underground, bestselling autobiography, Dancing With Myself and current world tour. Billy Idol and Steve Stevens performed a rare acoustic club gig at The Turf Club on January 19 in St. Paul, MN in front of 350 lucky fans to celebrate 89.3FM The Current’s 10th Anniversary. Watch the video of Billy’s interview with The Current’s Mary Lucia below along with live clips from the intimate performance. Billy was recently profiled in a fantastic piece by Andy Hermann for LA Weekly. 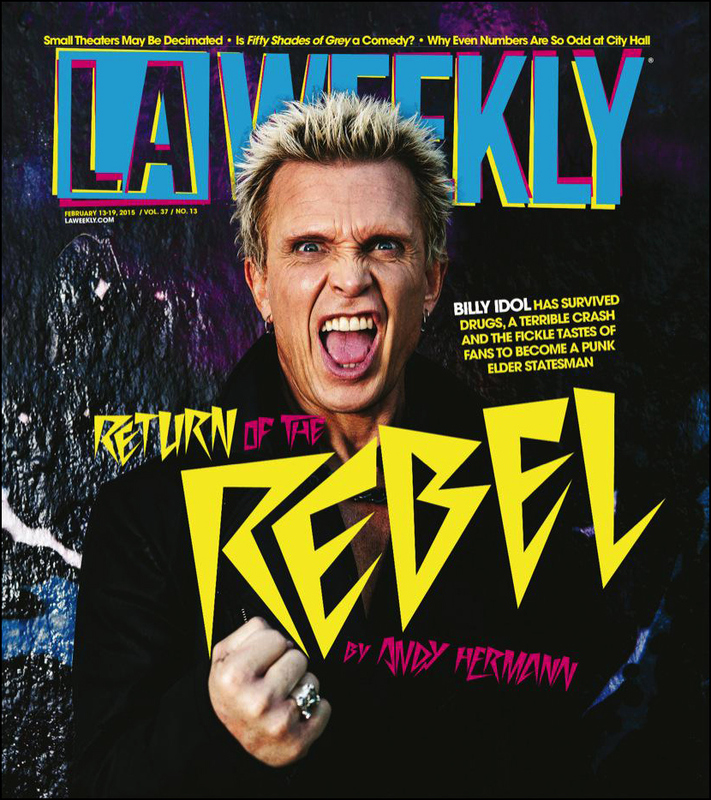 From the living room of his house, high up in the Hollywood Hills, Billy Idol gazes out across the Los Angeles Basin, remembering when the city was on fire. 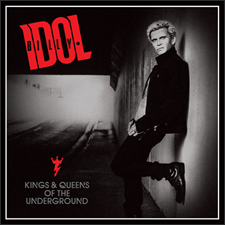 At the time of the riots, Idol was one of the biggest stars in rock. But privately, his life had been unraveling for some time. In 1989, he separated from his girlfriend of 10 years, dancer-choreographer Perri Lister, a split that sent him plunging deeper into drug abuse. A gruesome motorcycle accident in the heart of Hollywood the following year nearly cost him his leg. After limping through an international tour with a cane, he was back at home, struggling to stay sober as he toiled on the most ambitious album of his career, Cyberpunk, with neither of his most trusted collaborators, guitarist Steve Stevens and producer Keith Forsey, to guide him. 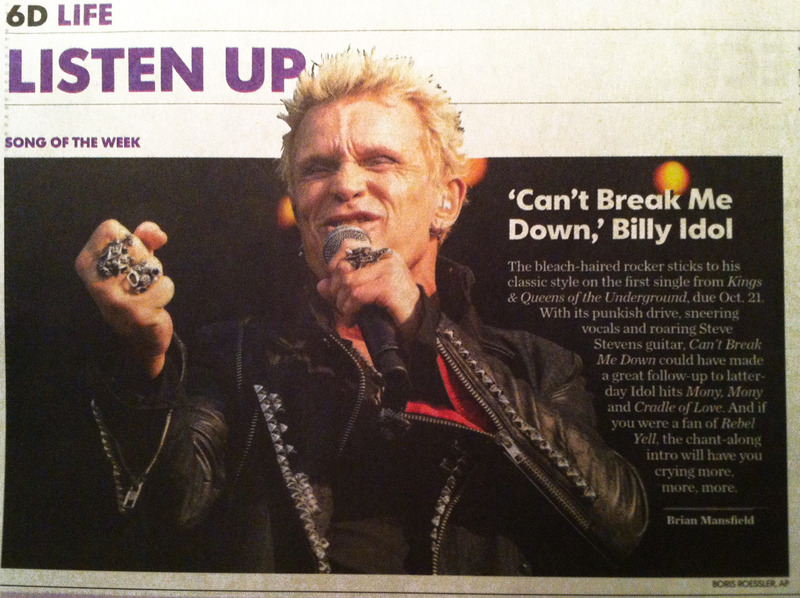 Billy Idol’s new single Can’t Break Me Down is USA Today’s “Song of the Week”!